Even if you are diligent in changing your systems filters, having your HVAC system serviced on a regular basis will ensure that there are no potential issues that could become big problems down the road. When you pay close attention to how your system is functioning, you will know when there is something not quite right. This is when you need to call for professional HVAC service. Some of the most common signs that your system needs professional service are highlighted here. Your HVAC system should keep your home at an even temperature. There should not be any areas that seem a bit colder or warmer than the others. If you have noticed that your hall is a bit cooler, or the temperature in your kitchen is not as comfortable as the rest of your home, then this may be an issue with the ductwork, or some other component in the HVAC system. When you hire a professional service technician, they will have the proper knowledge and training to identify the issue and the cause of the hot or cold spots. Have you begun to notice that your HVAC system is not as quite as it used to be? While this is quite annoying, it can also be an indication that there is something seriously wrong with your system. If there are loud noises during one of the regular cycles, then this can be the sign that one or more parts need to be replaced. If you opt to have the replacements completed now, then the wear and tear on other parts of the system will be minimized. This means that you will not have to pay for some of the more expensive repairs if you had ignored the noise. Have you begun to notice that it takes longer than normal for the controls to respond to the changes you make? 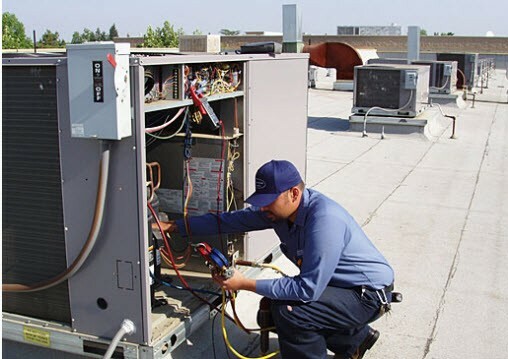 Even cutting off the unit, or switching from heating to cooling creates a noticeable delay, then there is a good chance that the connections are not good. When you hire a trained and professional technician, they will be able to quickly determine why your controls are not properly functioning and let you know what needs to be done in order to fix the issue. In some cases, you will need to replace the control box. Other times, the issue may just be a section of wiring that needs to be replaced.